Choose from among Jeld-Wen's All Panel, Glass Panel and Dutch exterior doors in wood, custom wood, architectural fiberglass, steel and the latest in Aurora Custom Fiberglass. A luxurious entry in Alder, Cherry, Juniper, Mahogany, Oak, Walnut or multi-wood options. 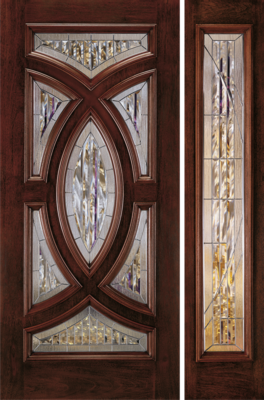 A myriad of panel designs, finishes and decorative accents make these doors uniquely yours. Indistinguishable from real wood and handcrafted for exceptional beauty. Options include woodgrain textures, decorative accents and decorative glass. An engineered wood core that is better suited for climate changes. 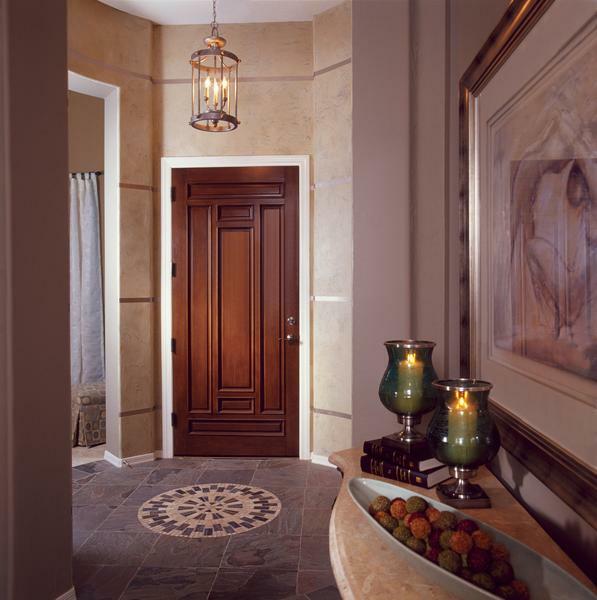 Various wood species and panel designs provide a warm, inviting, private entry. Smooth-Pro doors provide the look of a traditional painted wood door with the added benefits of energy efficiency and a no-dent, low-maintenance surface. A wide array of smooth panel designs are ready to paint or stain. The JELD-WEN Design-Pro Fiberglass doors feature the beautiful appearance of Mahogany, Oak or Fir woodgrains. Engineered for energy-efficiency and low maintenance, Design-Pro doors readily accept stain for a beautiful and long-lasting finish.